When I was in college a guest speaker from Reformed University Fellowship came to speak to our Bible study in the athletic department. After he had been introduced by our leader, someone in the study asked the speaker what it meant to be reformed. It seemed like a good question to ask. His campus ministry, after all, was called Reformed University Fellowship. The pastor looked over at the person who introduced him, shrugged, and then looked back at us. He said something like, “I’d love to explain it, but I’m not sure this is the place to do that well.” At the time, I thought this was a bit odd. Now I understand why he did this. He was nervous that giving a sound-bite answer could do more harm than good. I am too. In his book Bloodlines: Race, Cross, and the Christian, author John Piper claims that he loves Reformed theology the way he might love a picture of his wife. The point Piper makes is that he does not love the picture of his wife in and of itself. He doesn’t love ink on paper or pixels on a screen. Rather, he loves the picture because it is an accurate portrayal of the woman he does love. Similarly, when he says, “I love Reformed theology,” Piper means that it reveals God in that “It’s the best composite, Bible-distilled picture of God that [he] has” (p. 130). In short, he doesn’t love doctrines on paper but the God these doctrines describe. I think this is a helpful way to talk about any doctrine, but especially the doctrines of Reformed theology. Yet here comes that question again. What is Reformed theology? What is this “Bible-distilled picture of God” Piper is talking about? I love to answer this question and yet struggle to answer this question. Explaining Reformed theology takes only a few pages, but it can also take libraries. It can take me 15 minutes to introduce in a Sunday school class, but it might take 15 years for someone to embrace. Part of the reason Reformed theology can be so difficult to grasp is because it’s a topic that requires us to have both a broad understanding of redemptive history as well as familiarity with key Bible passages. Without each of these, it’s hard to make much headway. Regardless, I still love to try to answer this question because I believe a good understanding of Reformed theology can deepen our joy in God. Even as I say this, I’m aware that the study of Reformed theology can cause a good bit of consternation, especially at first. It sure did for me. Though I didn’t know Reformed theology by its name, when I was first considering what it teaches, I once threw John Piper’s book Future Grace at my bedroom wall in frustration. So, I won’t attempt to explain Reformed theology exhaustively here, but let me try to introduce it to you under four headings. Those who embrace Reformed theology see themselves as heirs of church reforms that took place around the 1500s (and beyond). The Reformation began with the growing desire to show the Roman Catholic Church its errors and make it healthier. In fact, as I write this, many Protestants around the world are commemorating the 500th anniversary of The Reformation, which is marked by the date October 31, 1517 when Martin Luther famously nailed his 95 Theses to the door of the church in Wittenberg, Germany. Eventually, however, what began as an attempt mainly to reform the existing church led to breaking away from the Roman Catholic Church altogether. This split away from the Roman Catholic Church was the birth of Protestant denominations, a split that has resulted in many splinters. And while the proliferation of Christian denominations is in some ways undesirable, those who embrace Reformed theology deeply appreciate the faithful women and men who lived during the Reformation and who worked to reform the church, often at great personal cost. Martin Luther, like every believer, had deep flaws (see this article), but God used him and many others in a mighty way. 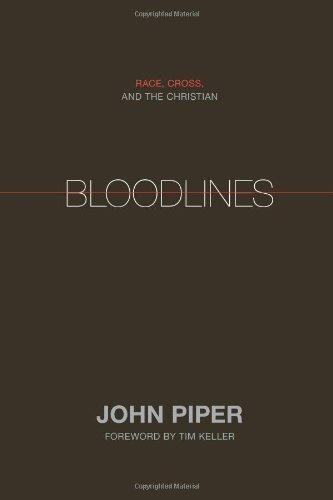 In the book Bloodlines, Piper weaves the underlying meaning of these individual phrases into one unified meaning with the statement: “God’s justification of sinners is by grace alone, through faith alone, because of Christ alone, to the glory of God alone, on the authority of Scripture alone” (p. 131). I hope it’s clear that these anti-solas amount to what Paul calls a “different gospel” (Galatians 1:6ff). The anti-solas don’t offer us the good news of the finished work of Christ for our salvation. Instead they tell us to try hard and do our best, while strapping on ankle weights. The gospel alone makes us right with God. Those who embrace Reformed theology see Scripture teaching what is often called “the five points of Calvinism” or “the doctrines of grace.” These doctrines are a way to talk about the relationship between God’s sovereignty and human responsibility, especially in salvation. In a few weeks, I’ll do a longer post on how TULIP should be understood, but I thought it would be helpful in this brief introduction to Reformed theology to simply mention what the acronym stands for and some of its history. 4. Substantial Continuity between the Old and New Testaments? Timothy Keller and D.A. Carson are the co-founders of The Gospel Coalition, a ministry committed to helping churches faithfully communicate the gospel and train Christian leaders. The ministry considers itself to be “broadly reformed.” In saying they are “broadly reformed,” they are hinting at the differences represented between these two founders, with one being baptistic in his convictions (Carson) and the other Presbyterian (Keller). The same differences are seen in Charles Spurgeon (Baptist) and Jonathan Edwards (Presbyterian). These differences among the broadly reformed illustrate why I put a question mark after the heading for this section; some see a substantial continuity between the Old and New Testaments, and others do not. Let me back up to explain. Perhaps we could call Christians who embrace Reformed theology in its fullness, “fully Reformed”—that is, those who are Reformed with a capital “R” (Presbyterians might fit into this category). Conversely, we could call those who are not fully reformed, reformed with a lower case “r” (reformed Baptists). The difference between these two groups has to do with the amount of continuity or discontinuity each group sees between the Old and New Testaments. Presbyterian theology tends to see greater continuity between the testaments (though of course not complete continuity), while reformed Baptist theology tends to see more discontinuity between the testaments (though of course not complete discontinuity). One specific area in which this plays out is how much continuity each group sees between the people of God in the Old Testament (Israel) and the people of God in the New Testament (the Church). The slight differences here lead each group to have a different understanding of baptism. You were probably aware of the differences between Baptists and Presbyterians over baptism—Presbyterians practice infant baptism and Baptists baptize only adult believers—but you might not have been aware of some of the background that leads to this difference. There are many helpful books you can read to learn more about Reformed theology. My personal favorite, especially if you're going to focus on TULIP is The Joy Project by Tony Reinke. I like to start people with Reinke's book because of his emphasis on joy. It’s not simply a dry lecture about Reformed theology, but rather a celebration of it, which is more in keeping with the way the biblical authors write about how we are saved—beholding the beauty before bemoaning the controversies. Reformed theology helps us understand God’s solution to our spiritual deadness (total depravity); that God’s plan for our salvation does not depend upon me and my good works (unconditional election); that on the cross Jesus purchases for me everything I need to be right with him (limited atonement); that God’s grace is so powerful it can overcome all of my rebellion (irresistible grace); and that life with God is worth fighting for every day of our lives, as well as something to which God himself is committed (perseverance of the saints). 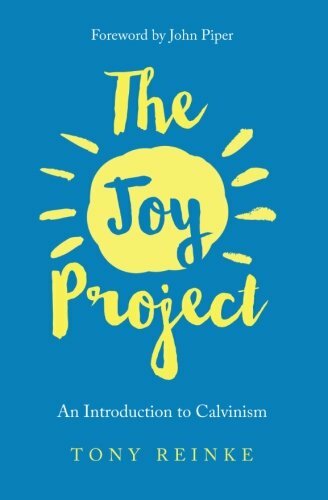 In short, Reformed theology shows us how we get increasing and expanding joy—forever.